The first five sound clips on this page are from the May 13, 1969 Pilots-Yankees game at Sick's Stadium. 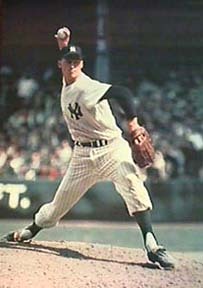 This game was a homecoming for Yankees ace Mel Stottlemyre, who grew up in Yakima. The final two clips are from the Pilots-Angels game on September 22, 1969 in Anaheim. Seattle Mariners announcer, Dave Niehaus, worked for the Angels in 1969, but, unfortunately, had this day off. To hear sound clips from Seattle radio, jump to the Pilots Radio page. Bell, Harper and Mincher turn a double play.